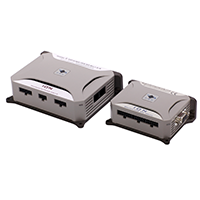 Performance Motion Devices digital drives are ideal for medical, scientific, lab automation and robotics applications that demand the ease of use and power that only cable-connected drives can deliver. PMD Corp. drives provide a full complement of motion control features, including profile generation, servo-loop closure, commutation, direct quadrature encoder input, and extensive safety and performance monitoring features. Our single-axis drives support Brushless DC, step, and DC Brush motors and allow you to download and run a complete C-language program directly onto the drive. Additional features include general purpose digital and analog I/O, Serial, CANbus and Ethernet communication. These compact, fully enclosed, stand-alone digital motor drives come in two overall power configurations, providing 500 Watts and 3,000 Watts of power amplification in a compact DIN-mountable drive package. The ION® 500 and 3000 Digital Drives provide high-performance advanced motion control, network connectivity, and power amplification for Brushless DC, step, and DC Brush motors. 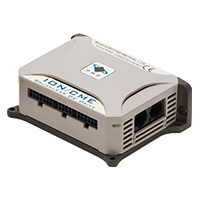 A programmable version of the standard ION® 500 Digital Drive, the ION 500/CME allows designers to download and run motion programs directly on the ION 500 Digital Drive itself. This feature off-loads the host and allows for greater design flexibility with the distribution of motion programs throughout the machine. Programs can be downloaded onto the ION 500/CME drive over UDP and TCP Ethernet protocols, as well as serial and CANbus communications.